With thorough understanding of the complexities of the real estate market, Angela Canete brings enthusiasm, consistency, and attention to detail to the process of helping clients buy or sell property. Angela is passion-driven, and enjoys building personable, trusting, one-on-one relationships that endure, committing to be available to clients whenever needed. Equally clearly, Angela’s approach gets results, earning her accolades as a top-producing agent for the past five consecutive years. Her expertise carries over from residential real estate into wholesale, as well, a more investor-driven sector of the market. Angela holds an E-Pro designation, and memberships in the National Association of Realtors and National Association of Hispanic Real Estate Professionals. 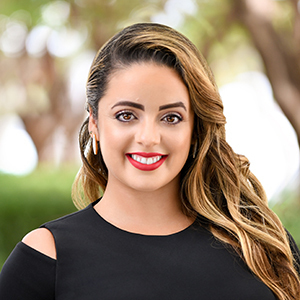 As a South Florida native and current resident of Hollywood, FL, Angela has extensive familiarity with the region, including the different neighborhoods, activities, beaches, school districts, and lifestyles. She is bilingual in English and Spanish, and comes from an accounting background, applying the same analytical approach to real estate, staying up to date on modern and trending marketing approaches. Angela will do much more than simply list your property—she uses professional photography, direct marketing campaigns, virtual tours, videos, and social media to sell your property. Buyers receive the same high level of advocacy. Angela works diligently with other agents, banks and title companies to get you the home of your dreams with as little stress as possible. Let her navigate and direct you towards your real estate goals!